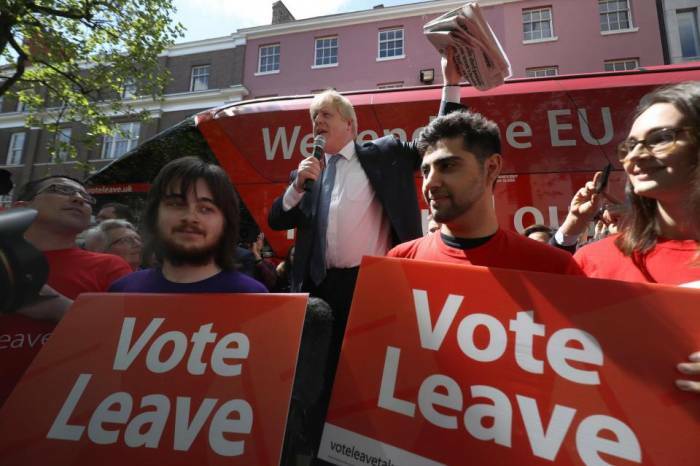 The Vote Leave campaign has been fined and referred to the police after being found guilty of busting spending limits for the Brexit referendum, the Independent reported. The official Brexit organisation – fronted by Boris Johnson and Michael Gove – breached electoral law by co-ordinating illegally with another group, the Electoral Commission concluded. The watchdog has referred David Halsall, the “responsible person” for Vote Leave, to the Metropolitan Police for making false declarations of campaign spending. Darren Grimes, the head of a separate youth Brexit group called BeLeave – which received a £675,000 donation from Vote leave – has also been referred to the police. If the gift had been recorded as part of Vote Leave’s referendum expenditure, it would have taken the campaign’s spending over the £7m limit, the Commission said. Crucially, the cash was used to pay data firm Aggregate IQ and – a whistleblower claimed - potentially enabled it to precisely target enough voters on social media to have swayed the Brexit result. Bob Posner, the Commission's director of political finance and regulation, accused Vote Leave of trying to obstruct its investigation – which had uncovered “clear and substantial” evidence. “Vote Leave has resisted our investigation from the start, including contesting our right as the statutory regulator to open the investigation.